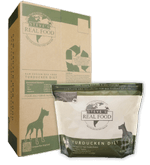 Dog Food Recall – Natura Pet Expands Recall of California Natural, EVO, Innova and more! 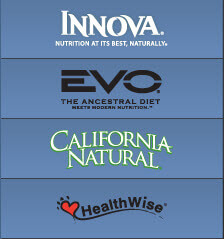 March 29, 2013 – Natura Pet has today announced it is expanding its recall of specific California Natural, Innova, EVO, Karma and Healthwise formulas as a “precautionary measure” due to potential contamination with Salmonella bacteria. According to the company, no other P&G Pet Care brands are affected by this recall. Natura Pet claims it was alerted to a single case of Salmonella in a package of EVO Turkey & Chicken Cat Food on March 15th. The company then took the “precautionary measure” of recalling all products produced on the same production line within the same time frame. 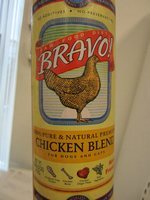 After further examination, Salmonella was also discovered in other packages of EVO Turkey and Chicken Cat Food and Innova Cat Treats. The company is taking the action of expanding its current recall to include additional Natura Pet products that were produced between December 14, 2012 and March 24, 2013 on the same production line. Natura Pet is also recalling a single lot of Innova cat treats. Due to the unusually large number of product codes and lot numbers involved in this recall, we have reproduced the actual letter sent to retailers and distributors on this page. “Managers or designee should immediately secure all affected SKUs to an isolated location. Product should be secured (and) segregated from saleable product. Distributor partners, please notify your retail outlets and ensure they take the appropriate action to remove the impacted products from the shelf. Those with additional questions can call 800-224-6123. Does your dog love to play tug-o-war? Do they have more energy than you know what to do with? The Petmate 3 Knot Rope Tug might be the toy your dog will love. It is a simple concept, cotton fiber ropes tied in knots of various sizes and lengths that seem to be strong and provide hours of fun for her. The only thing is, we only play tug-o-war with them and let her play with it for only a few minutes after we are done, otherwise she would have the toy chewed in half in no time. She is a chewer, therefore we need to watch when she plays with this to make sure she doesn’t swallow the cotton fibers. This is something to consider when buying this toy for your dog. Final verdict: If your dog loves to tug, this might be a great toy for them. So far, the toy has lasted Sasha over two months, and when we whip it out to play with her, she goes nuts and spends lots of energy and time on it. This also means she has a nice LONG nap after playing, which is good to give us some quiet time. Just watch to make sure none of the cotton fibers end up being swallowed. The toy is available on wag.com and comes in various sizes for various size dogs. Make sure to get a rope size big enough so that your dog cannot get the rope or the knotted portions in their back teeth, otherwise they can chew the toy in half and then the toy is no longer useful. Definitely recommend this toy for tugging dogs! According to the retailer, no other products are affected. Proctor and Gamble claims it has not received any reports of human or pet illnesses. What Products Are Being Withdrawn? To identify the affected lots, consumers should refer to the first 4 numbers of the second line on the bottom of the can. 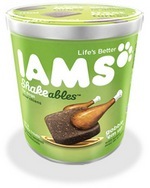 The bulletin warns users to stop feeding the affected products and to return any remaining Iams Shakeables Turkey and Lamb Dog Treats affected by the voluntary withdrawal to their closest PetSmart store for a full refund. Readers with questions about this event are invited to call Proctor and Gamble (Iams) at 877-894-4458. I did some poking around on the Natura Pet website, since I hadn’t heard anything new. I will post the information I found on their website that may help. 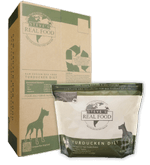 March 18, 2013 – Natural Pet Products has confirmed it is recalling four of its most popular brands of dry dog food due to possible contamination with Salmonella bacteria. The company plans to issue a more detailed statement sometime later today. As soon as this information has been posted, we will immediately update this page. A cat food recall was issued for several Diamond Pet Foods products in 25 states. 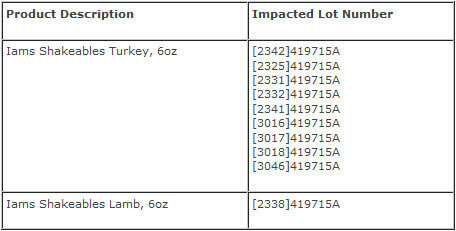 The products in question were recalled over a low level of thiamine (Vitamin B1). The vitamin is essential to cats for maintaining a normal nervous system. Thiamine deficiency can include decreased appetite, salivation, vomiting, and weight loss. If the deficiency continues, it can lead to the feline’s death. Advanced cases of thiamine deficiency can include neurological signs like bending toward the floor (ventroflexion), walking wobbly (ataxia), falling, walking in circles, and seizures. Diamond Pet Foods issued a press release for the cat food recall, saying that it was voluntary and not required. The recall includes some bags of Premium Edge Finicky Adult Cat Formula, Premium Edge Senior Cat Hairball Management Formula, Premium Edge Kitten Formula, Diamond Naturals Kitten Formula, and 4health All Life Stages Cat Formula. All of the products are dry cat food. Cat owners who use the products are urged to discontinue their use and either discard the bags or ask for a refund. The products were distributed in 25 states, including Alabama, Colorado, Connecticut, Florida, Georgia, Indiana, Kentucky, Maine, Maryland, Massachusetts, Michigan, Minnesota, Missouri, New Hampshire, New Jersey, New York, North Carolina, Ohio, Oklahoma, Pennsylvania, Rhode Island, South Carolina, Vermont, Virginia, and West Virginia. Because of the recall, the company tested all other Diamond brands to a thiamine deficiency. They found none, aside from the six included in the current recall. Cat owners with questions about the cat food recall, or who would like to receive a replacement product or refund, are being asked to call the Pet Food Information Center at 1-888-965-6131. They can also click here for more information. This advisory is for the 2 lb. size of Bravo! Chicken Blend with the “Best Used by Date” of 6/12/14 only. For further information, contact the company at 801-540-8481 or gary@stevesrealfood.com.